Whether you’re looking to go farther on a tank of gas or need the power to tow your Jet Skis, Equinox has the engine for you. The restyled front end catches your eye with its chrome-accented dual-port grille. New halogen projector-beam headlamps and available LED daytime running lamps add illuminating detail. 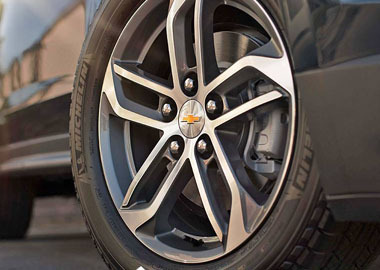 New 18-inch custom-styled aluminum wheels are standard on LTZ models. The premium cloth seats on the L, LS and LT models provide a superb level of comfort while the available Saddle Up interior color on the LTZ amplifies the design. Whether it’s generous rear leg room or modernized refinements, every inch is designed with your comfort in mind. 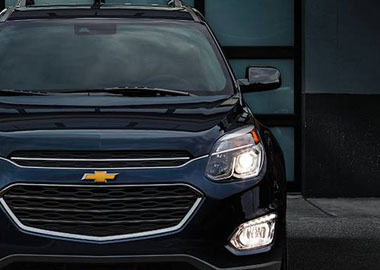 Transform your Equinox into an everyday space solver. The Multi-Flex® sliding rear seat slides back to add almost 8 inches of rear leg room, slides forward for more cargo room, or folds down to create 63.7 cubic feet of cargo space. Equinox offers available state-of-the-art technology designed to seamlessly integrate into your lifestyle. Make phone calls, compose texts – even play your favorite songs all through voice activated commands. You’re always connected without lifting a finger. For compatible iPhone® users, the system allows limited hands-free interaction for those times when you want to read or compose a text message, make a phone call or play your favorite music. Chevrolet MyLink with Bluetooth wireless technology makes it easy to connect to calls, music and contacts – all by using voice commands or the 7-inch diagonal color touch-screen display. 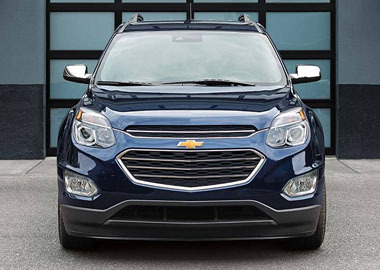 Equinox offers new active safety features for 2016. Available Side Blind Zone Alert uses side mirror alerts to help the driver avoid a collision with a moving vehicle detected in their side-blind spot (or zone) during a lane-change maneuver.